Please note this article was first published in 02 Mar 2010. Its content may now be out of date. We recommend taking a look at more recent website building blog posts or check out our comprehensive support pages. If you are looking for information on our 14 day free website builder trial we have a large number of webpages that guide you throug the process. As you build and develop your website, it’s important to maintain any existing corporate or company image or brand awareness. If you already have existing literature, logo’s, brand logo’s, corporate colour schemes and / or font styles, then include them within your website style and design. As you use your website builder to create your website keep in mind that clients who have already seen your company image or those who will see it in the future can recognise you easily when they find you online. You’ve no doubt spent money on previous advertising in newspapers or magazines or leaflets using these existing colours, fonts and logo’s and in doing so will have started the process of creating brand awareness and company recognition. It would be wasteful to then create a whole new look for your website, basically starting from scratch in building corporate recognition, credibility and trust in your products and customer service. Once you have a corporate visual style – Stick to it!! Imagine how much money some of the top companies in the world spend on advertising in order to build that same recognition. Once created the key is to maintain its lifespan and notoriety. Everyone knows what fast food outlet we’re talking about when you see a yellow curved M or which technology company uses a grey Apple (although that one’s a bit of a give-away). The colour Red is easily recognised as related to Coke, Heinz and Colgate. The multi coloured logo’s for Google or Ebay. The standard scripty typeface used by Disney or Kelloggs. The interlinked rings of Audi. The Black or White Tick of Nike. The yellow and red Shell etc., etc.,etc. All these logo’s, typefaces and colours are world famous and easily associated with their respective brands because of “Continuity”. They haven’t changed in years and why would they when so much money has been spent ensuring that potential customers can recognise them in a second. We’ve seen them in the Press, on TV, on billboards and would immediately recognise them online too. your DotGO Website Page editor. But without careful consideration your site can look amateurish, be difficult to read and may not be maintaining any existing brand or company image you may have. You really need to try to be ruthlessly consistent. You’ll be amazed how much easier your site will be to read and how much more professional it will appear if you choose some standards and stick to them. Font: Fix the font - use a single font type through your entire document. 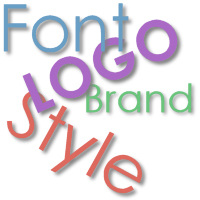 Size: Decide on a size of font for all body text (medium or 12px is a good choice). Decide on a size for all subheadings and main headings. heading, use it in all headings. Images: Decide how you will use images in your website. Will they all be the same size? or just wrap the text around them. A pre-planned format and style will help you to create a really professional website, which will then encourage the maximum response from visitors and the right kind of response from potential and existing customers. Please remember, this article was first published 02/03/2010. The content may be out of date and you cannot post comments any more. Please check out our new blog.